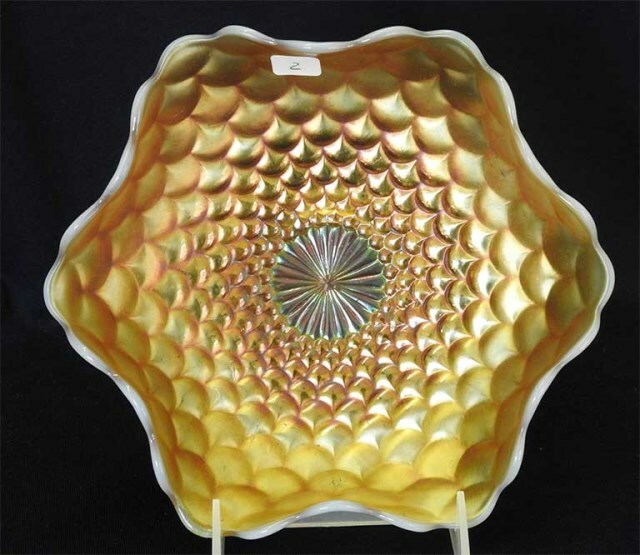 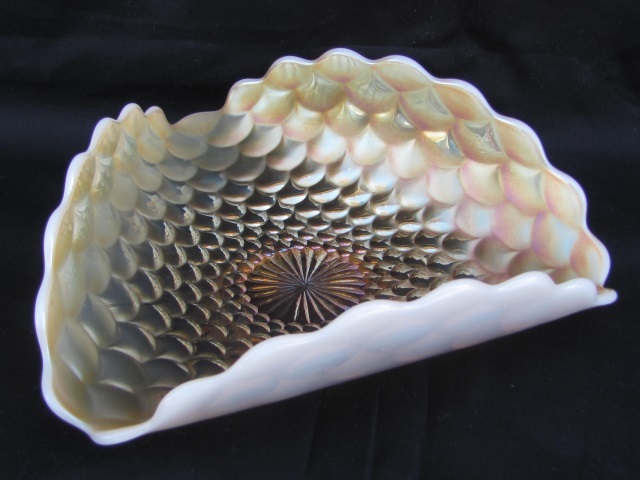 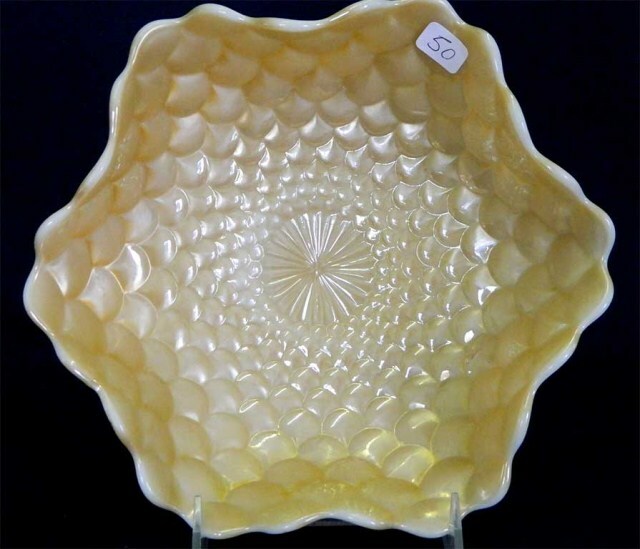 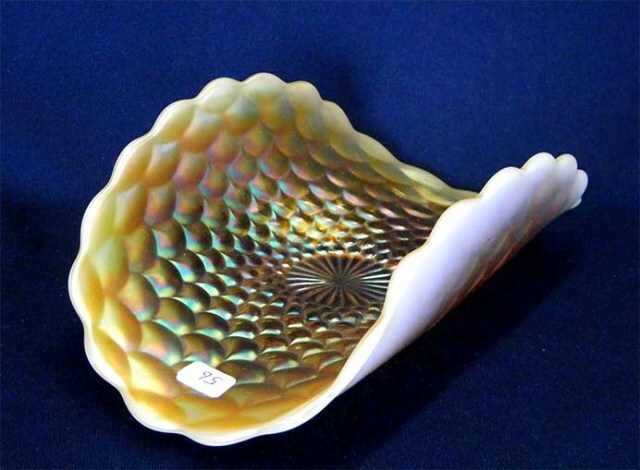 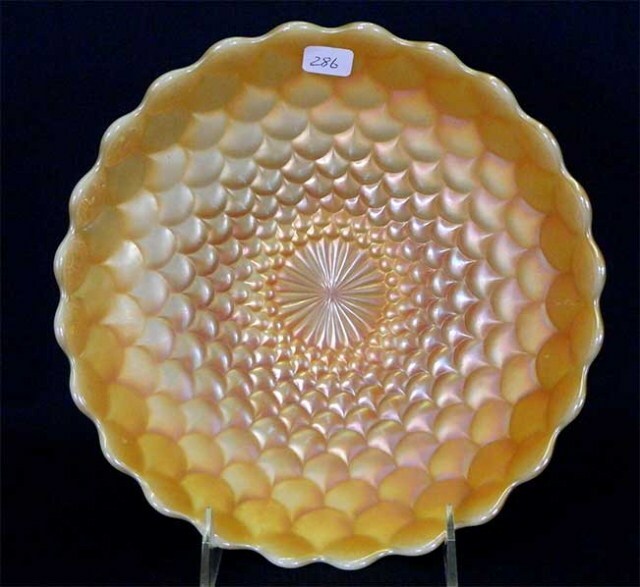 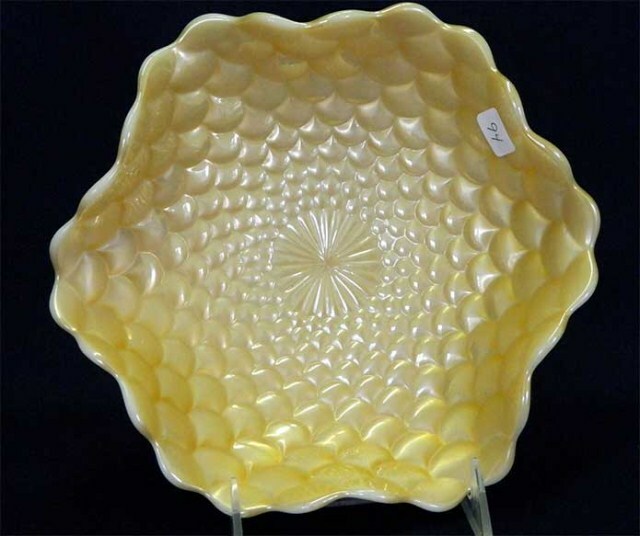 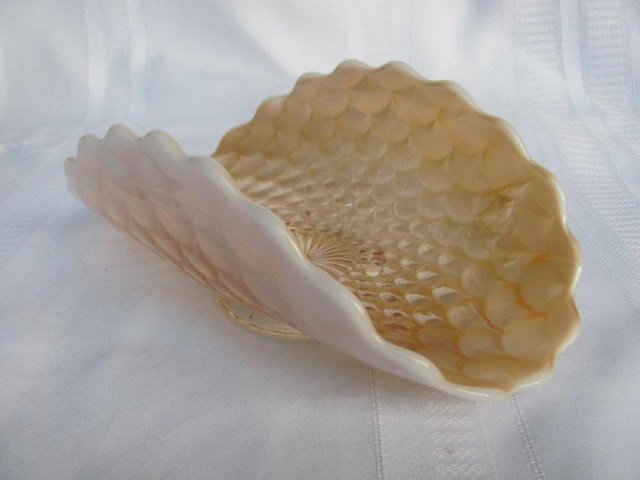 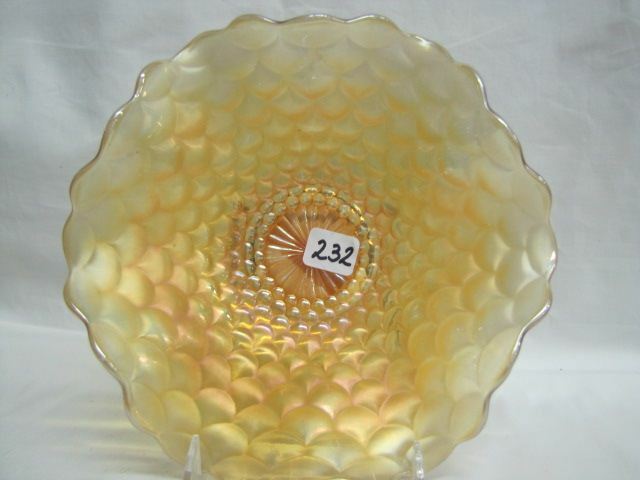 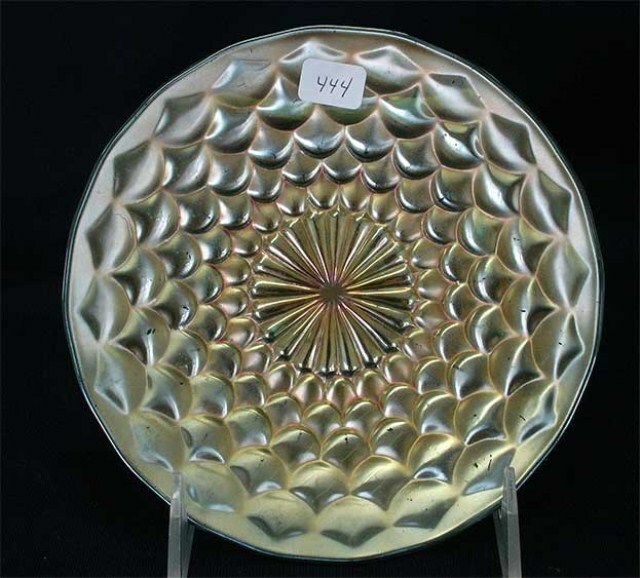 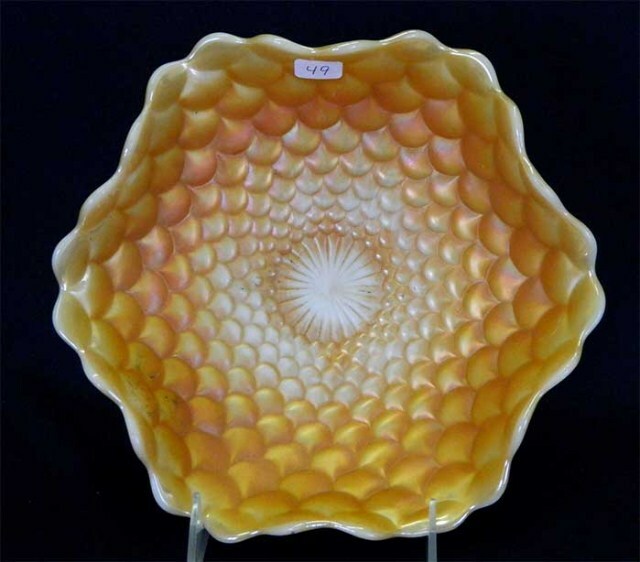 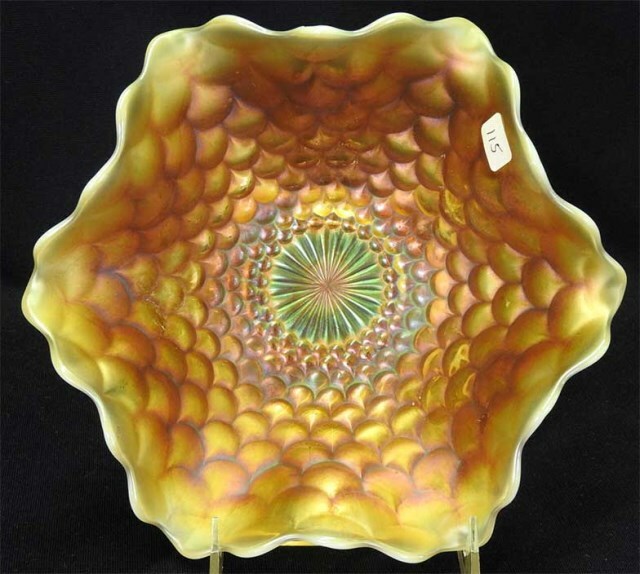 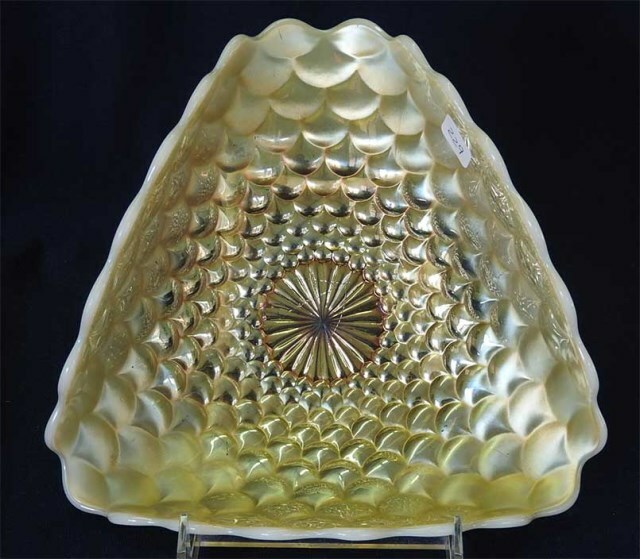 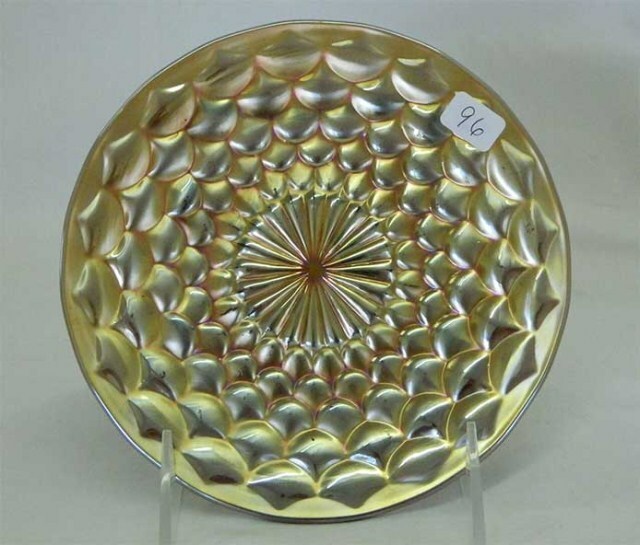 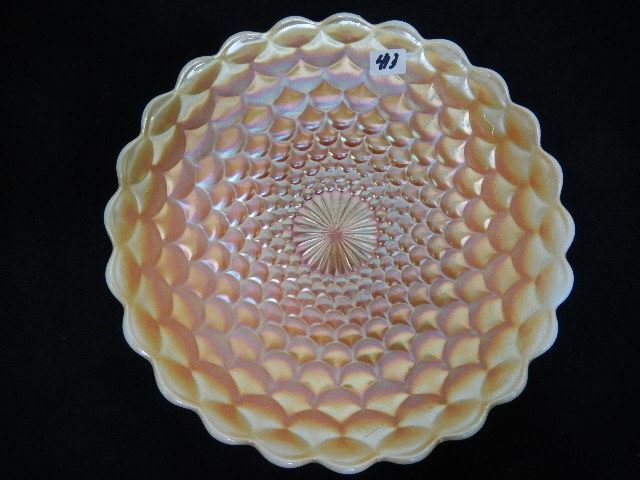 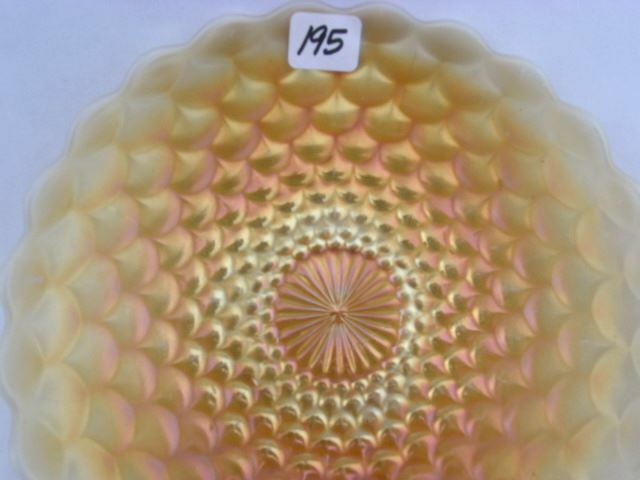 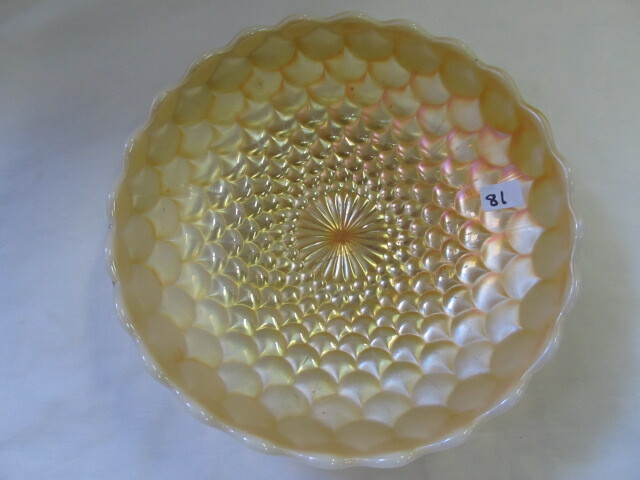 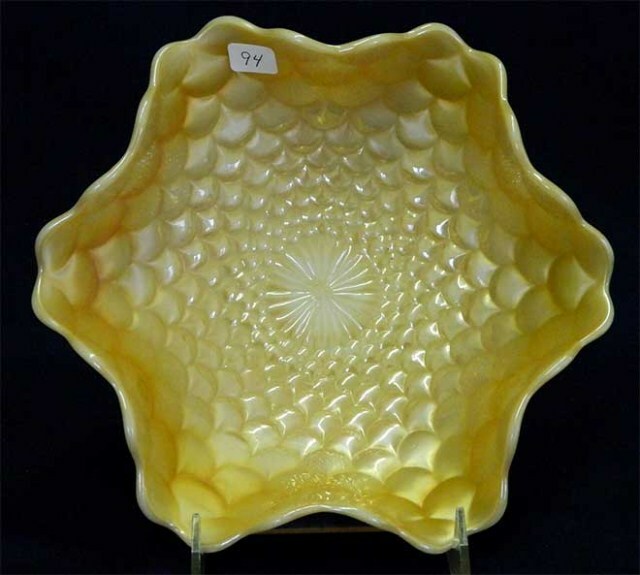 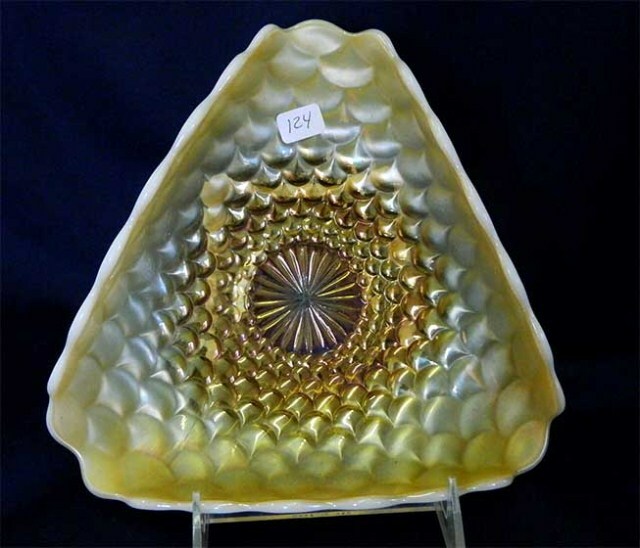 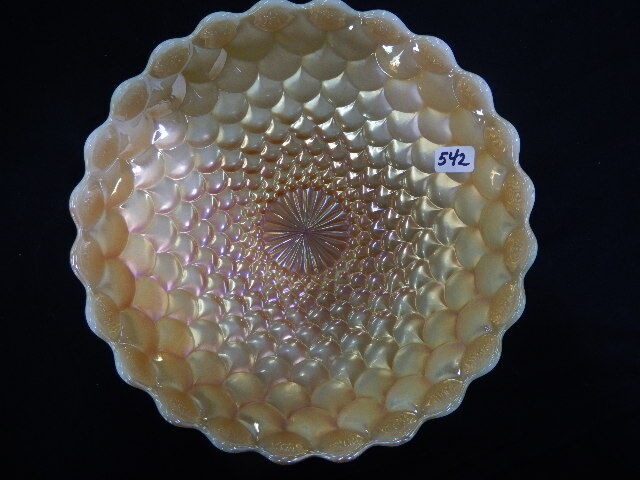 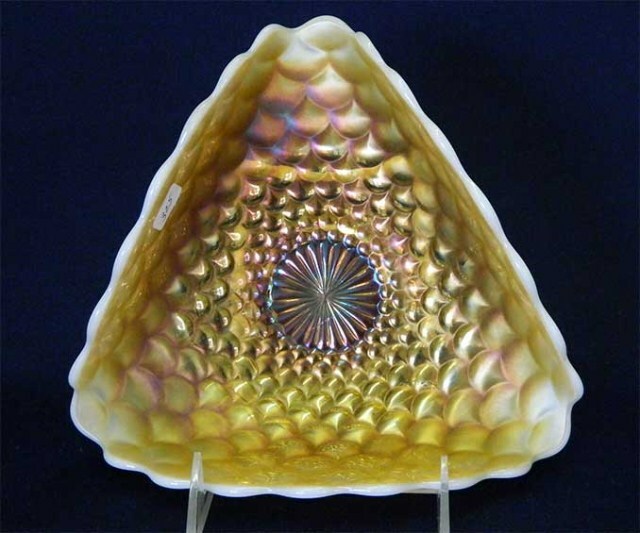 Easy to confuse with the Dugan Fishscale and Beads, this pattern has convex (raised) scales rather than indented or concave scales of the Dugan pattern. 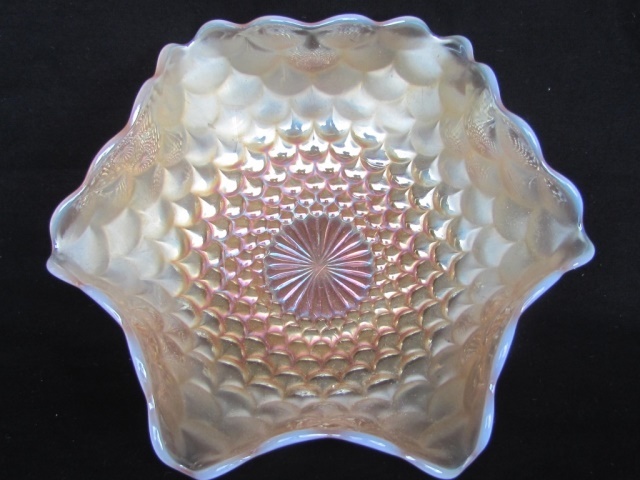 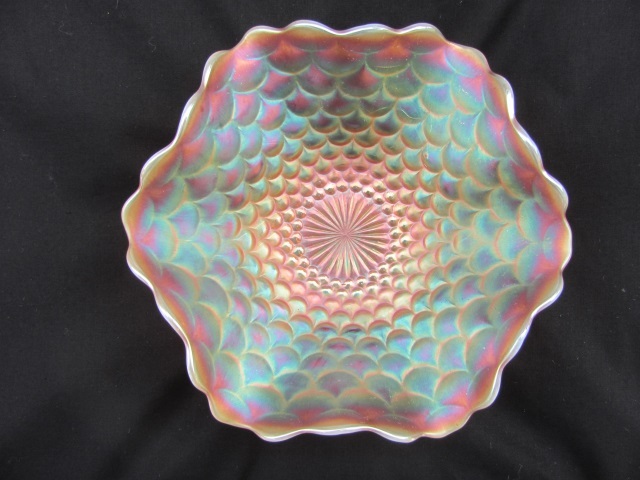 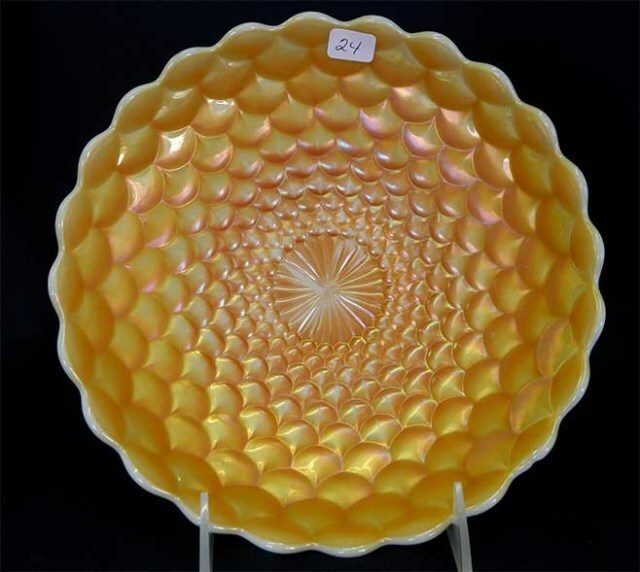 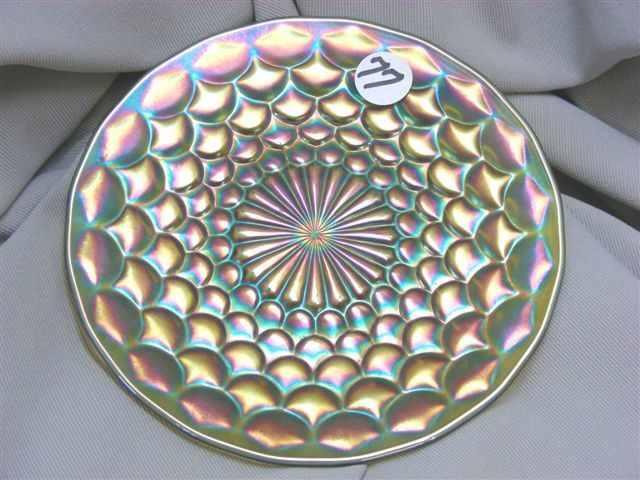 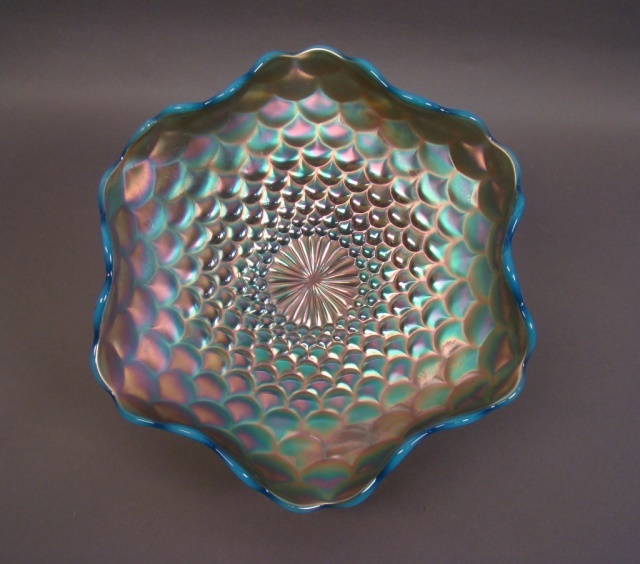 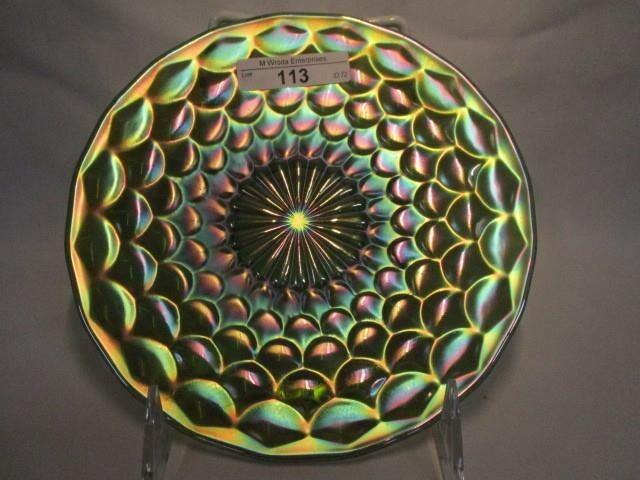 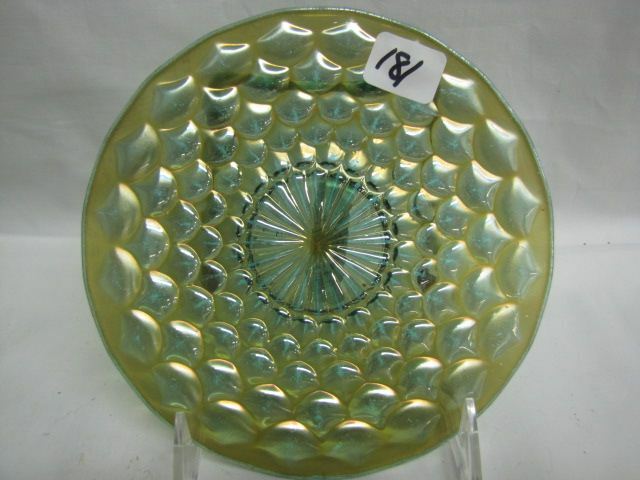 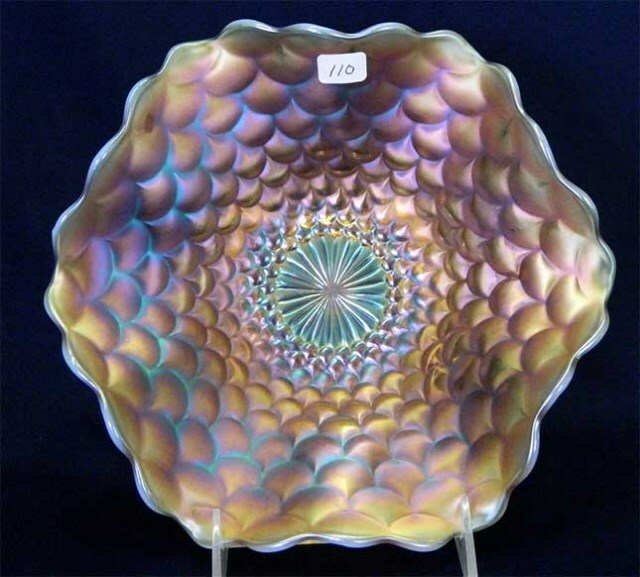 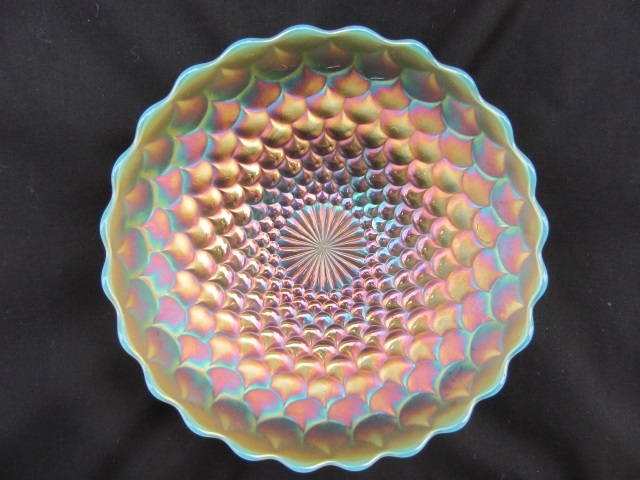 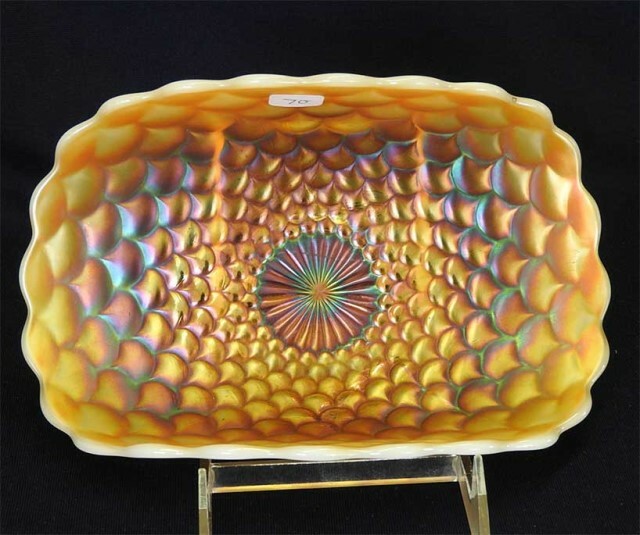 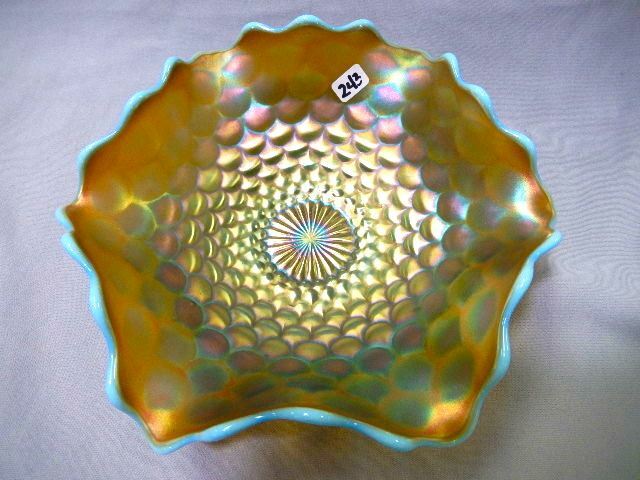 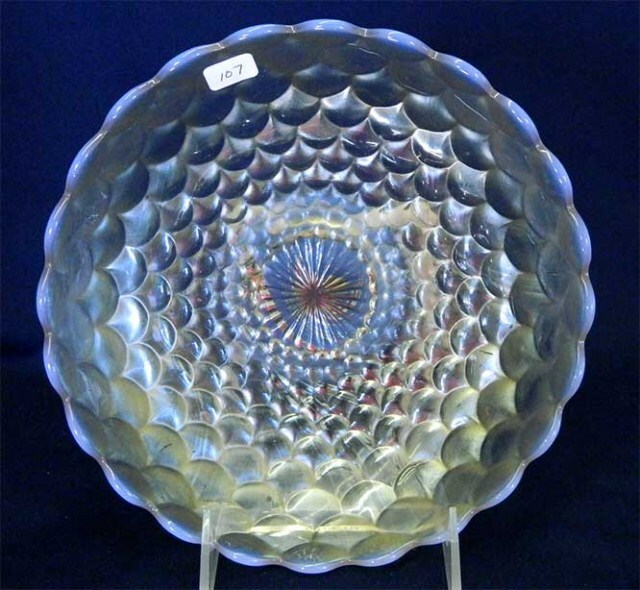 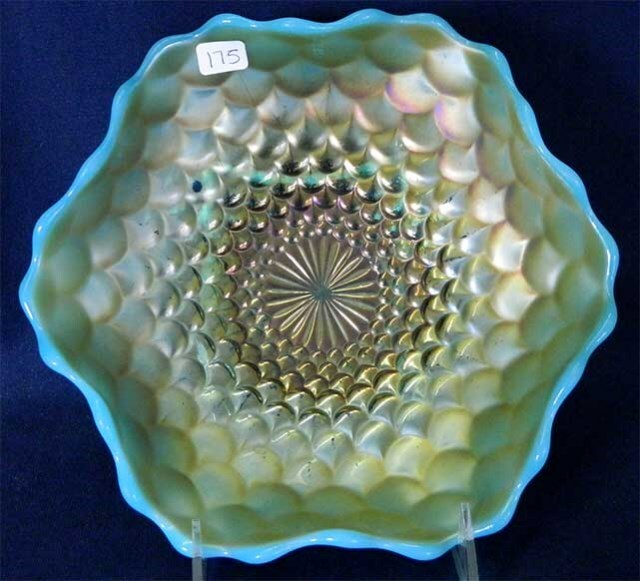 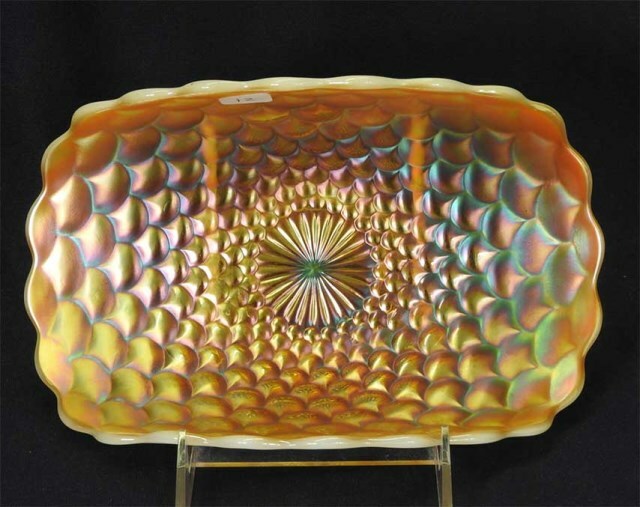 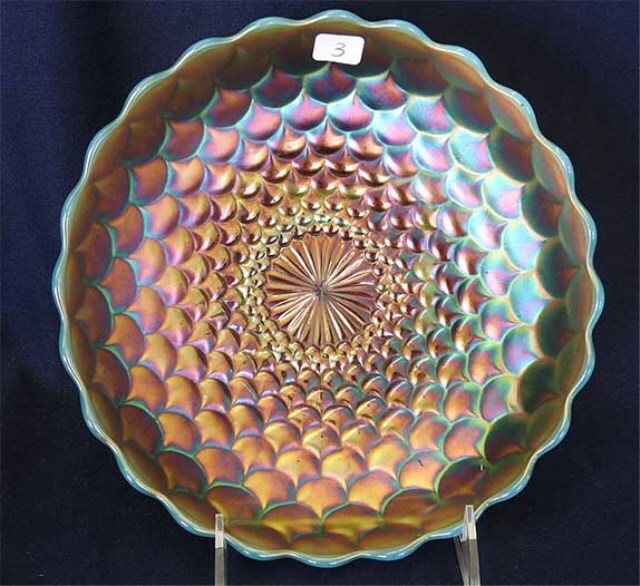 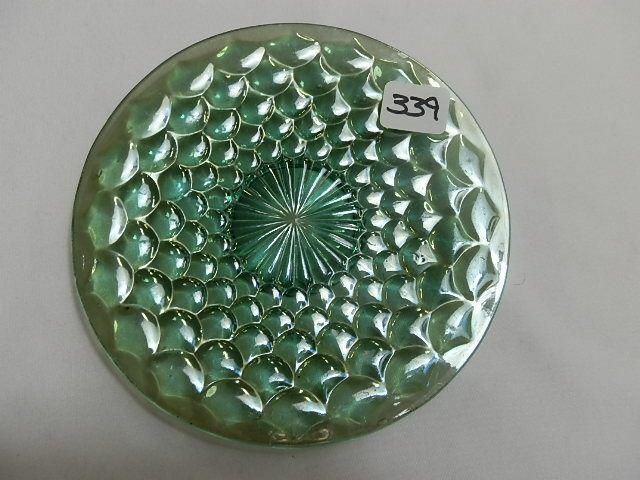 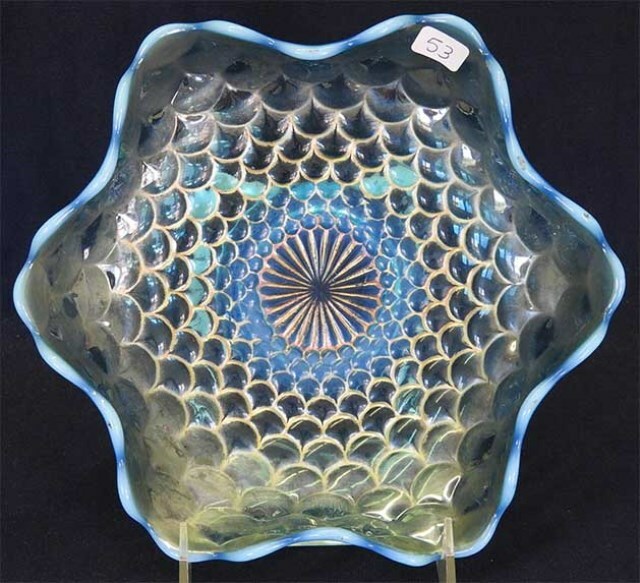 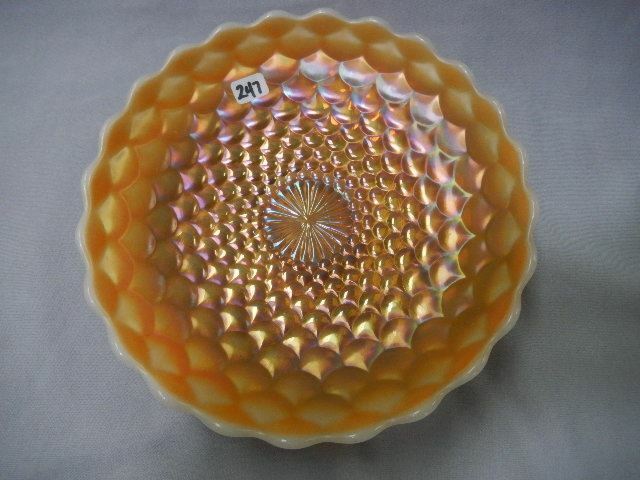 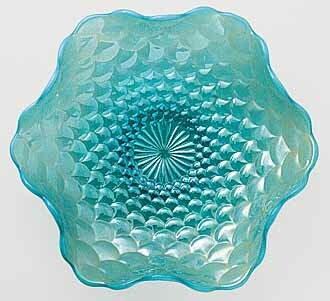 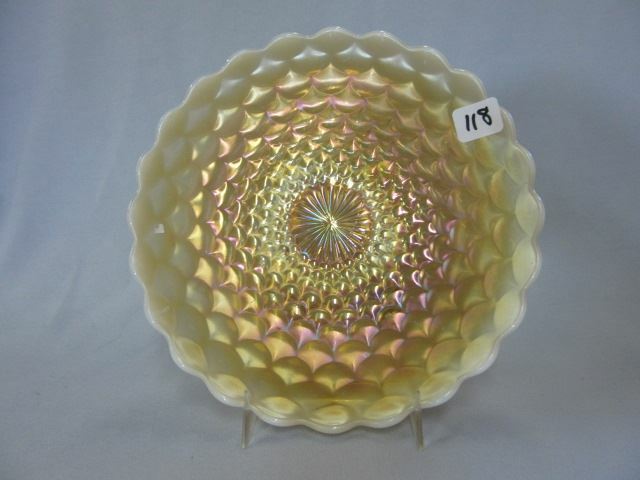 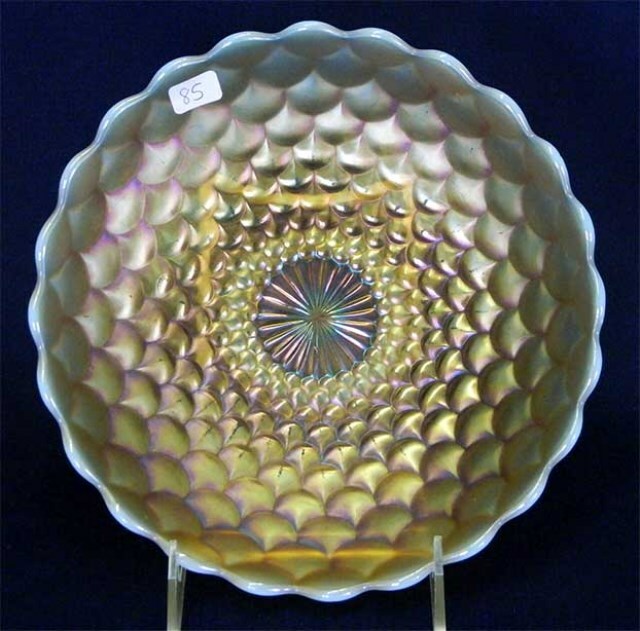 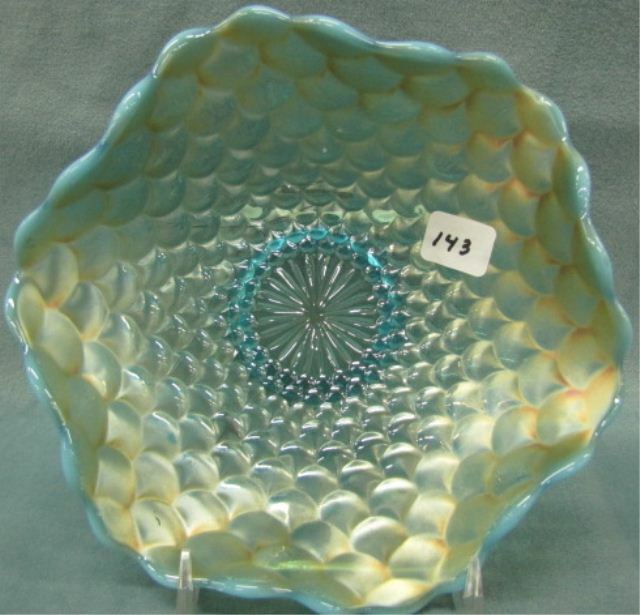 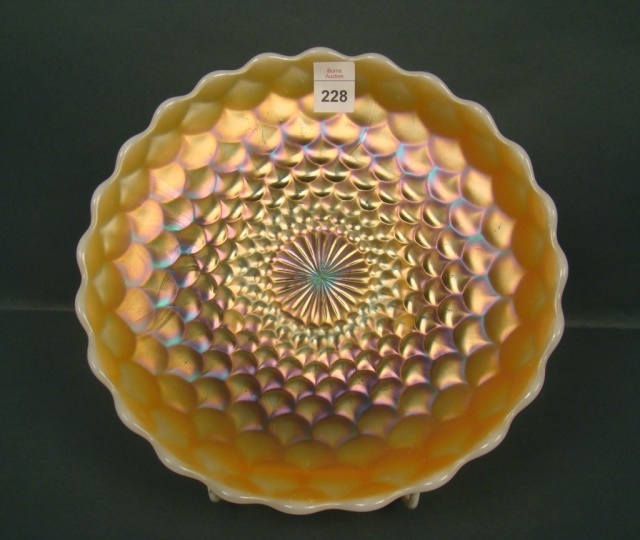 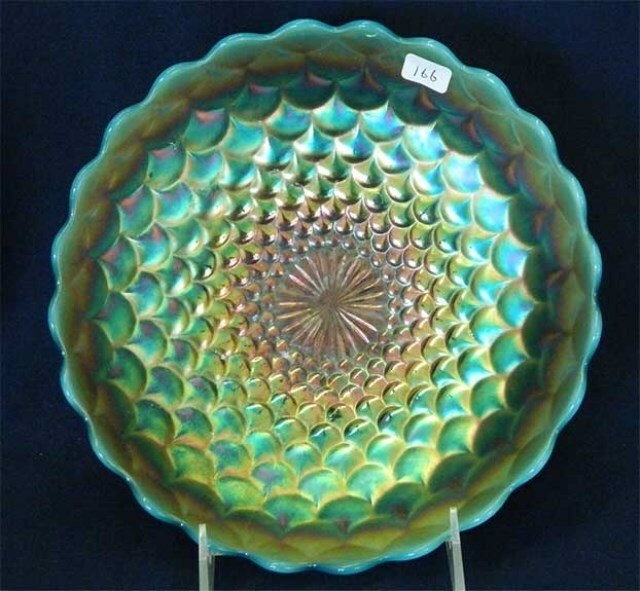 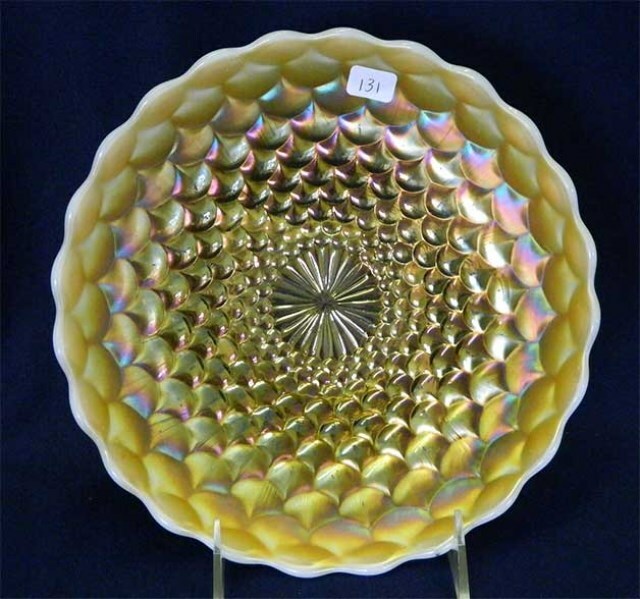 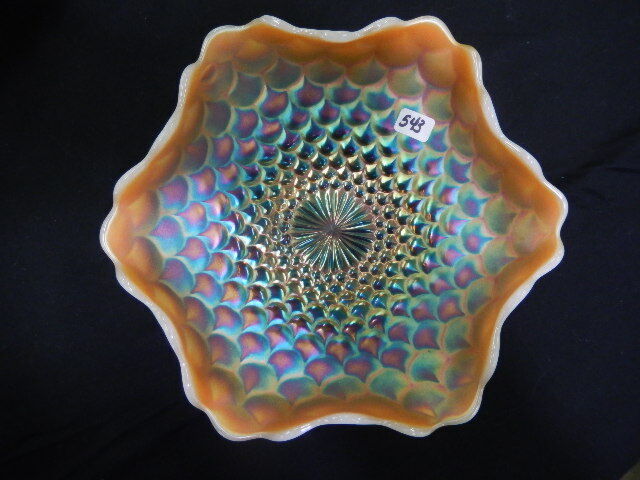 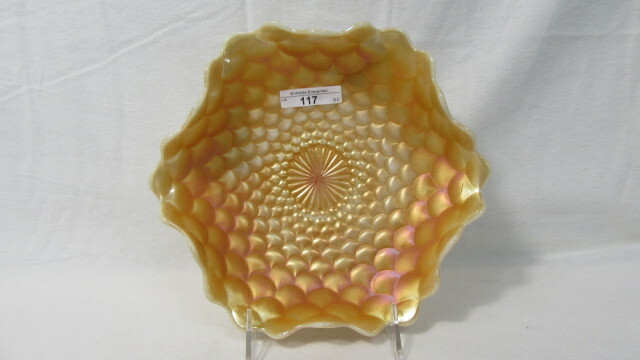 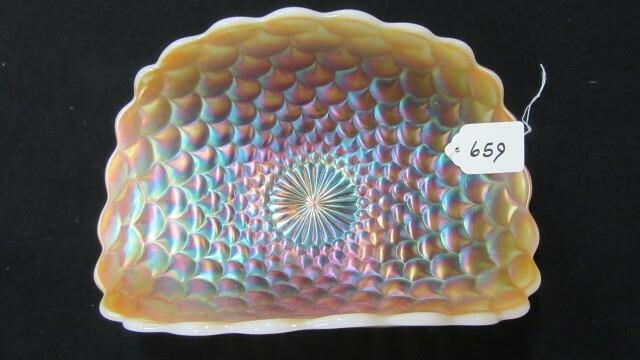 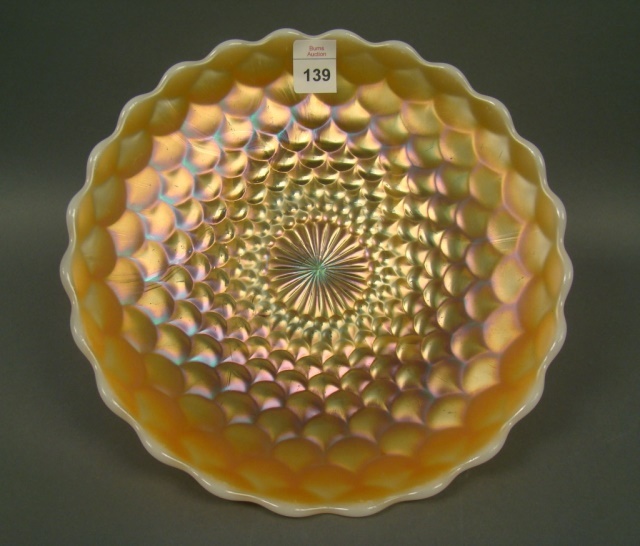 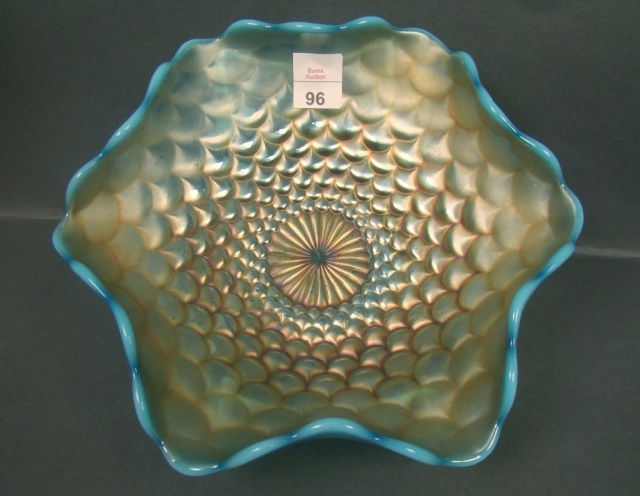 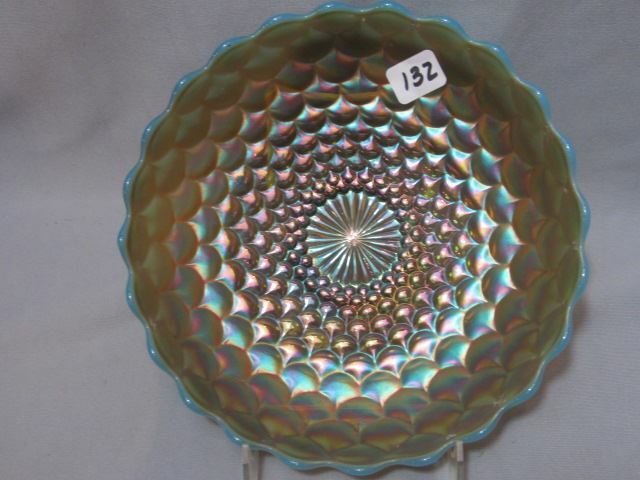 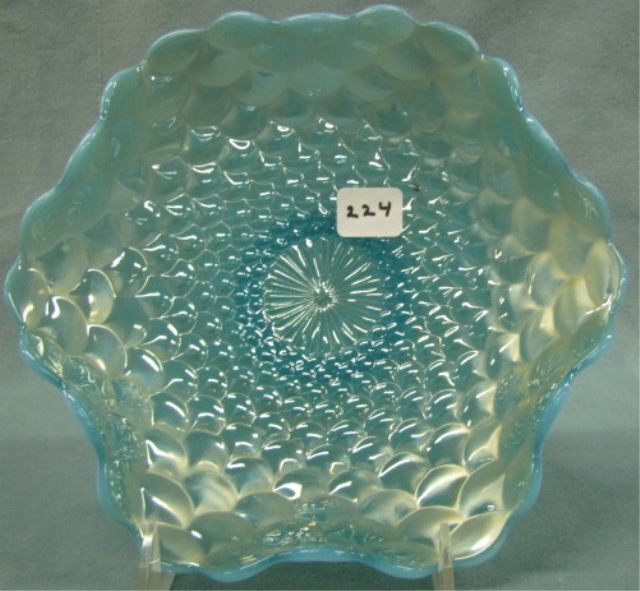 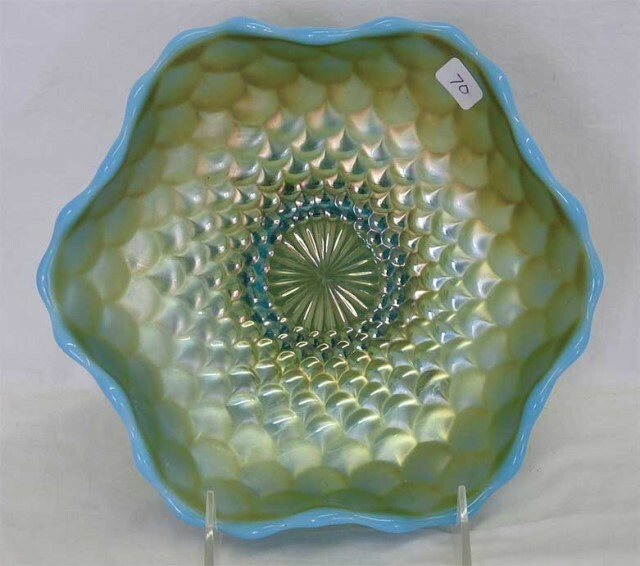 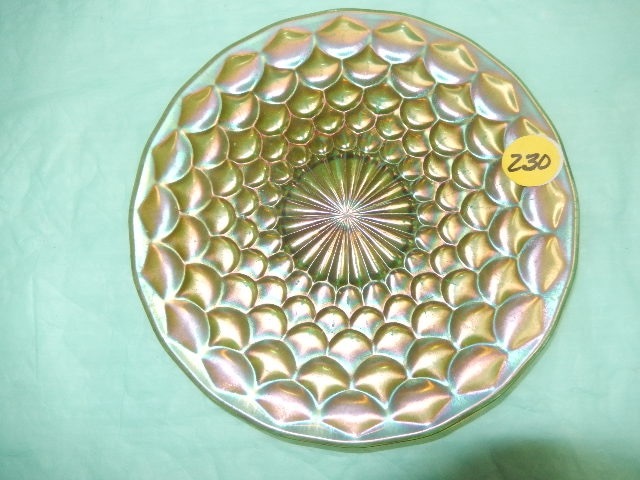 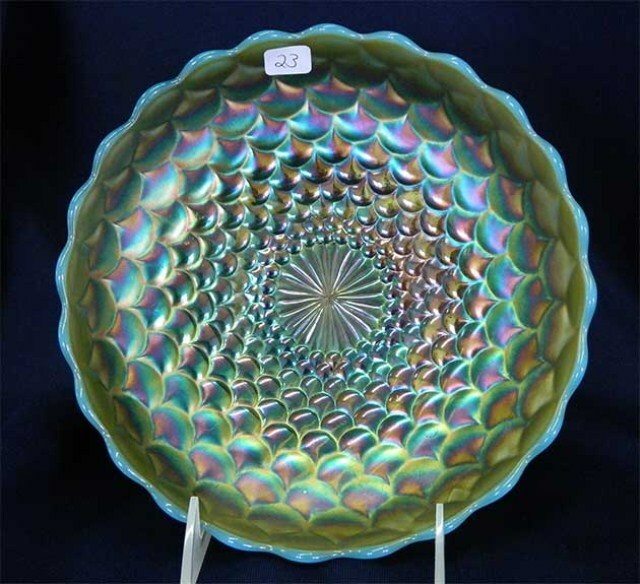 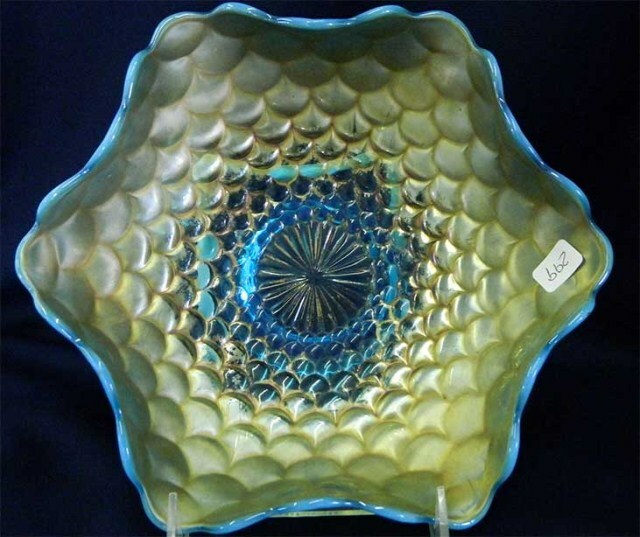 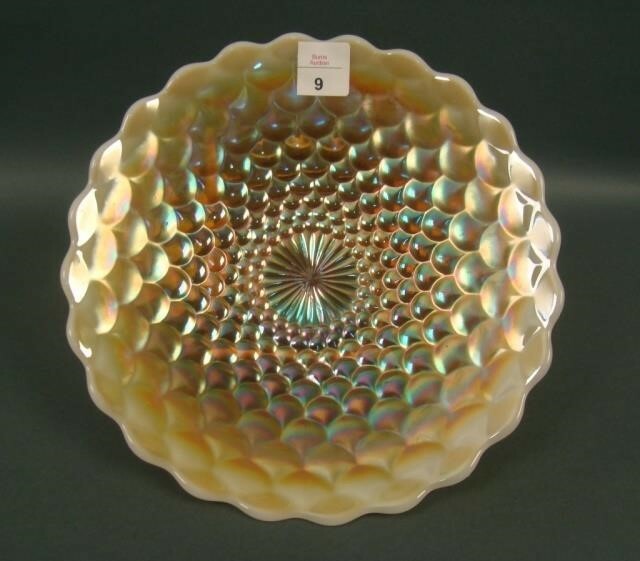 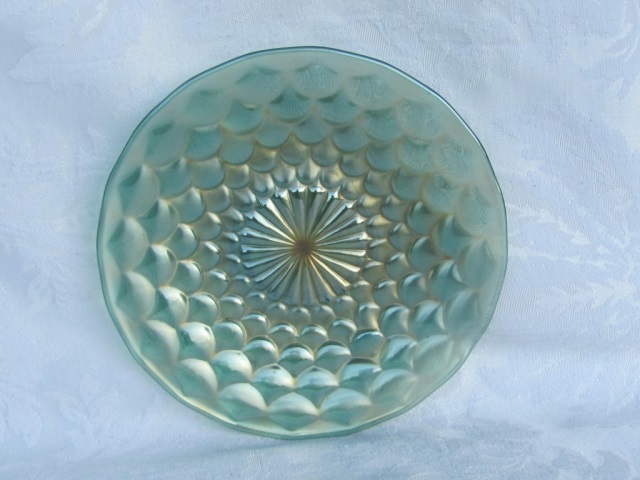 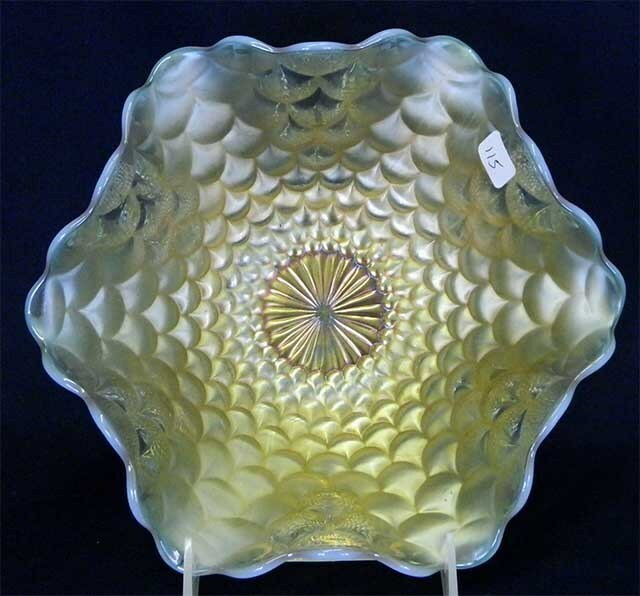 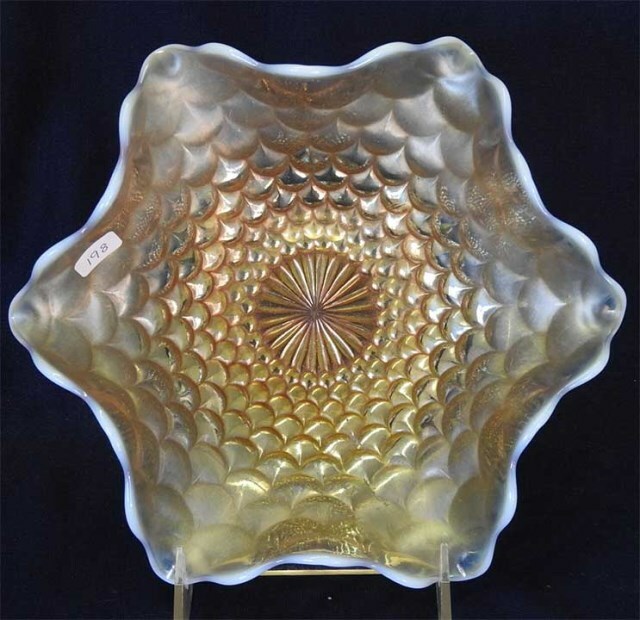 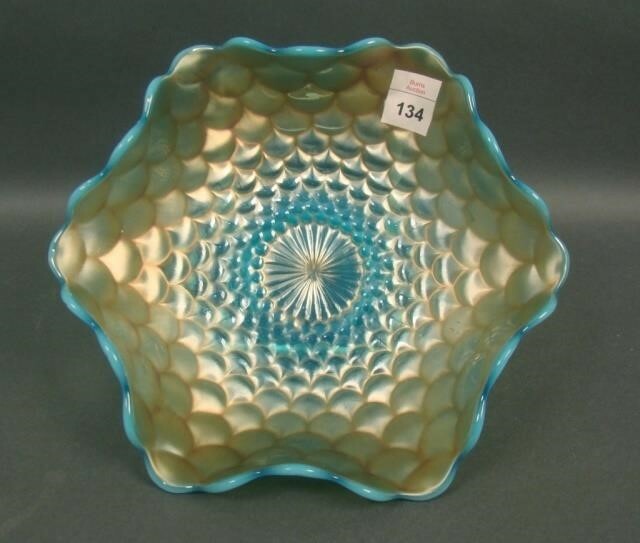 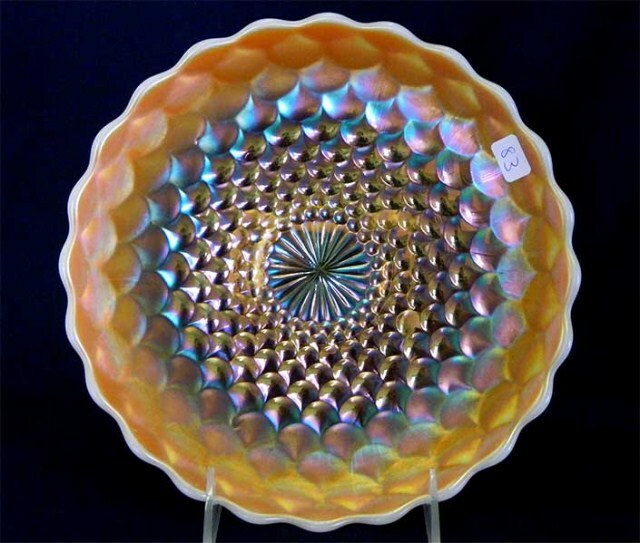 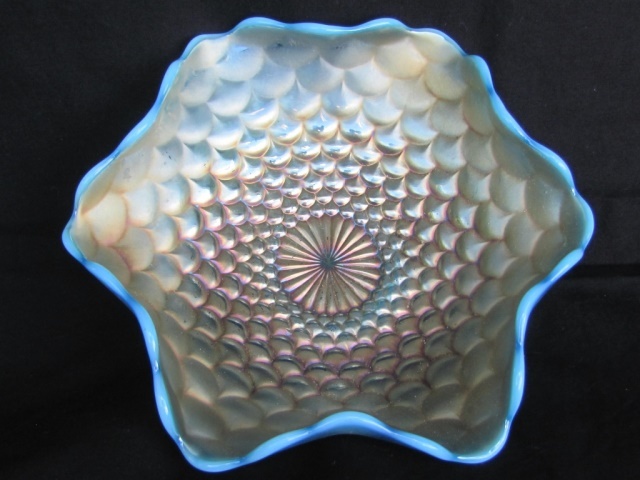 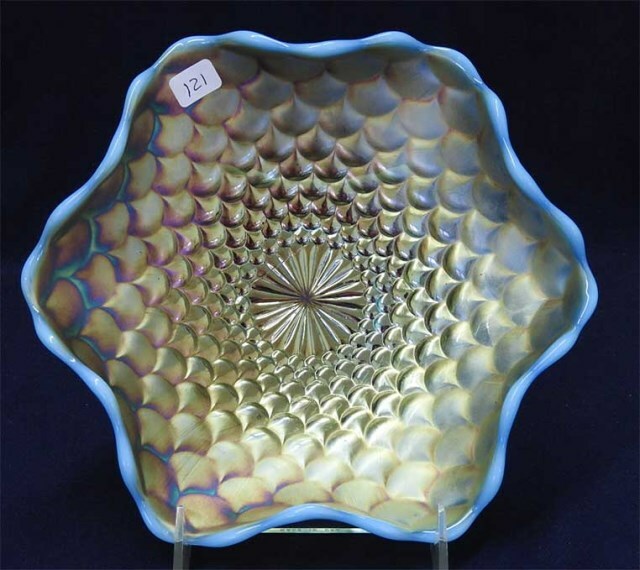 Blue opal, as shown in the large ruffled bowl above, is a common color in this pattern. 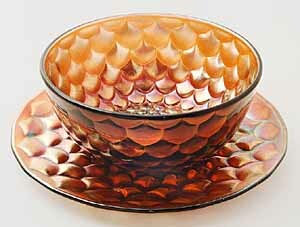 Large bowls are common, large plates rare. 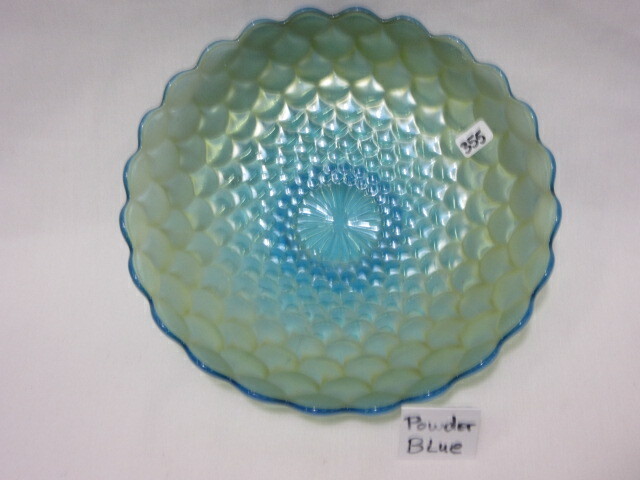 Small plates are common, small bowls rare. 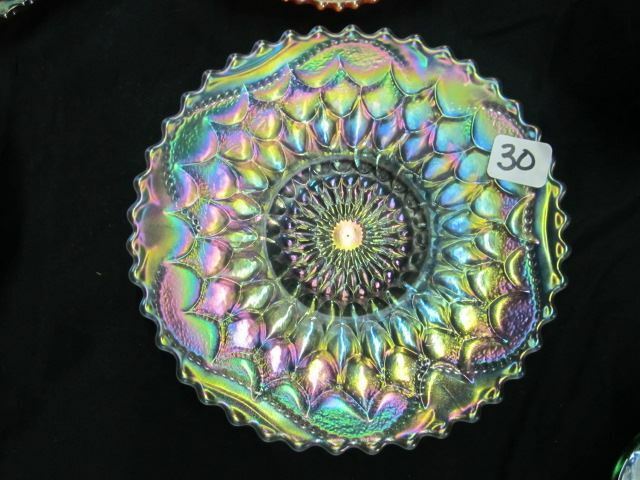 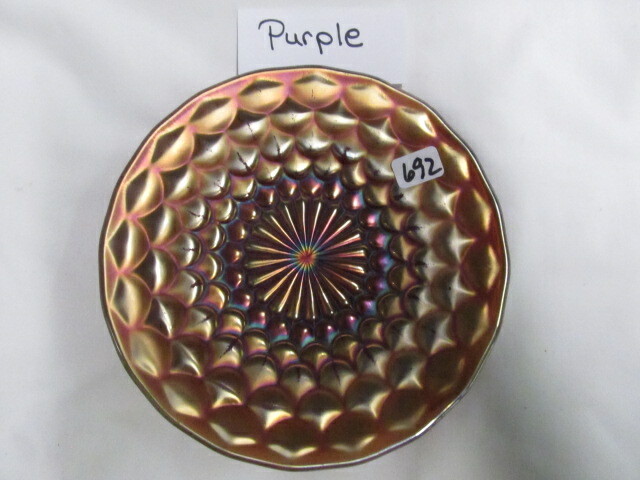 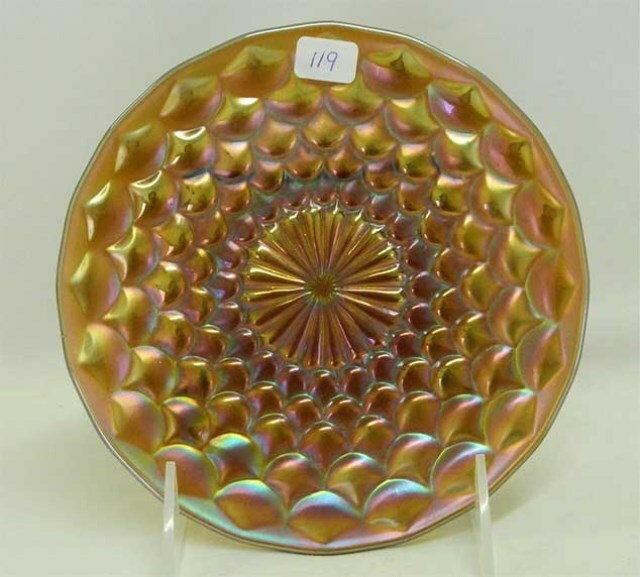 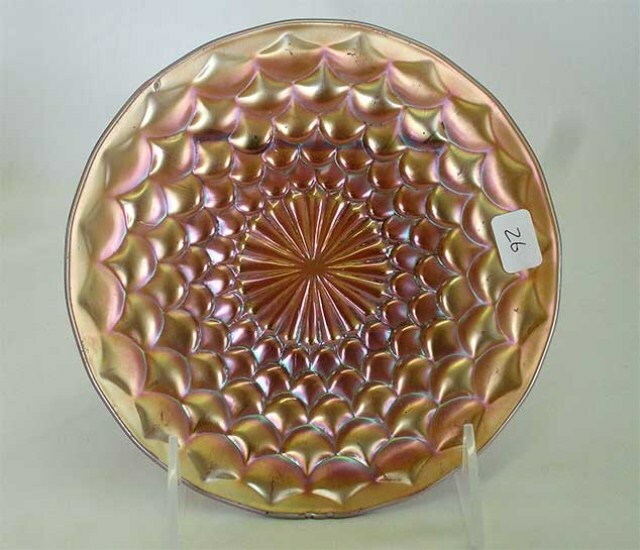 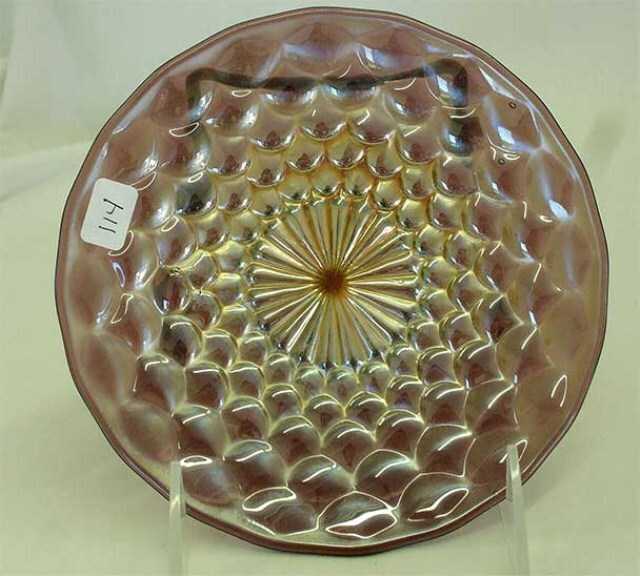 The small bowl and underplate combination is rare: this one, in amethyst, sold for $35 in 1995; another set in amethyst sold for $28 in 2004. 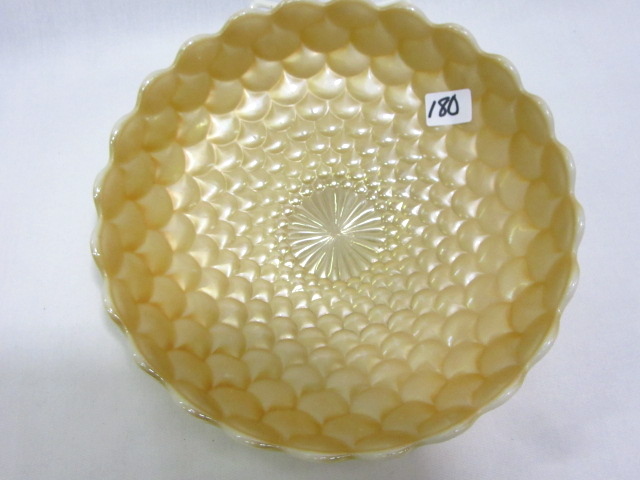 Note that Northwood's Petals compotes are sometimes identified as this pattern.